Football season is here, meaning local bars and restaurants will be packed in the coming weeks with crowds gathering to watch our beloved Buffalo Bills and other NFL teams engage in great gridiron action. For some fans, the experience of watching the game somewhere other than the comfort of your own couch can actually rival attending a game in person. 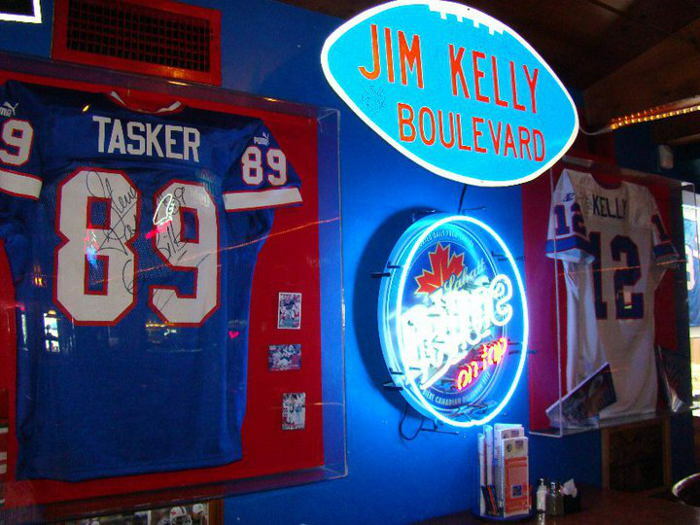 Since we are living in the golden age for sports bars since the television viewing experience has become a weekly ritual for football fans, I thought I would share some of my favorite spots in Western New York to cheer on the Bills. I present in no particular order eight possible destinations to watch the Bills play their road games this season. This is one of the best sports bars in Western New York. With two locations, Santora’s is a top-notch operation, with the Transit Road location featuring over three dozen different taps to enjoy while you watch the game on one of their 110-inch televisions that are strategically located throughout the restaurant. They have an incredible menu with a wide variety of items to enjoy throughout the game and superb customer service even on the busiest Sunday afternoons. Duff’s is definitely a fun place to watch a Bills game, especially because of the access to incredibly tasting chicken wings. Just like their menu says, their “medium” sauce is hot, their “medium hot” sauce is very hot and their “hot” sauce is very, very hot. Awesome game day atmosphere with plenty of televisions and enthusiastic employees who are obviously encouraged to cheer along with their patrons. A favorite of many of my friends who live in the Northtowns, Amherst Pizza & Ale House serve craft beer, mouth-watering pizza and plenty of other tasty treats. 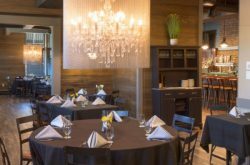 An ideal place to sit and watch sports as they are properly equipped with quality high tables and bar stools that allow you to sit comfortably for an entire Bills game. A favorite hangout for any Bills fans in downtown Buffalo, Pearl Street offers an awesome variety of American food, including their “Ditch Digger” and “Tree Hugger” hamburgers. With an impressive list of beers on tap, some people may think of Pearl Street as just a place to stop at before or after a Sabres game, a Bisons game or a concert, but Sundayafternoons watching the Bills may be the ideal time to visit. With three locations who all feature the slogan “not your average sports bar,” I can say first-hand that the Kenmore location on Military Road is indeed no average watering hole. 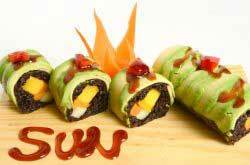 A wide variety of food and drink specials, this is a great place to unwind and watch a Bills game. First-time visitors who want to take on an interesting challenge should consider attempting to complete what is known at Mooney’s as “The Moses Challenge,” which is trying to finish a six-pound version of their famous “Moses Sub” in 30 minutes or less. If you like a high energy level place to cheer on the Bills, The Warehouse is your place. While the noise level may be described by some as extremely loud, there is no question you will have a hard time not getting into the action watching the game on one of several big screen televisions. 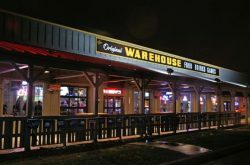 With an extensive menu and very friendly bartenders and servers, The Warehouse offers your favorite game day meals and service with a smile. Any list of places to watch a Bills game must include at least one that is within walking distance to “The Ralph.” For me, Danny’s South is one of the ultimate game day destinations because of their ability to handle large crowds and serve food and beverages quickly, efficiently and with a smile. The veteran wait staff will take care of you while watching the Bills on one of the televisions in their festively decorated barroom. And being that Danny’s South is just a stone’s throw away from the stadium, you never know who will show up there (home or away game) there when the Bills are playing. My observations here are that Buffalo Brew Pub attracts people from all walks of life. Their menu is quite impressive, including a dozen different burgers and a delicious turkey pot pie. They also have nearly three dozen beers on tap and are staffed with extremely friendly servers. Really fun place to watch a Bills game with plenty of televisions and endless supplies of popcorn and peanuts. Another nice feature is that the restaurant area has a fireplace for those looking for some ambience at halftime or perhaps after the game.